This: When you get the irresistible urge to bake chocolate chip cookies, I highly recommend doing so while jamming to Mumford & Sons and The Avett Brothers. Cookies go better with folk music. That: Also? Follow the recipe on the back of the bag of Nestle chips, but add a box of vanilla instant pudding and substitute 1/4 white sugar in place of what it calls for, then add 2/3 cup oatmeal when you add your chocolate chips. You won't be disappointed. Promise. This: Okay, don't faint, but I am actually making an effort to catch up with Project Life (while watching the Gilmore Girls). I know! That: I will probably do a whole separate past about these long overdue scrapbooking efforts, since I was (am) sooooooo behind (like most of 2012, HA!, but I can now see the light at the end of the tunnel), but I can already tell you 1.) I remembered how much I adore the simplicity of Project Life; 2.) I realized I've missed it terribly; c.) I must start using my DSlR more, I just have to, iPhone photos are better than nothing, and are of okay quality (usually) but I've gotten very lazy about carrying my big dog camera with me like I used to; 4.) looking back at the completed pages and reading our stories make me--and my people--extremely happy. This: Annelise had yesterday off from school and was highly annoyed that she didn't get to, um... celebrate April Fool's with pranks on her friends or on her teachers. 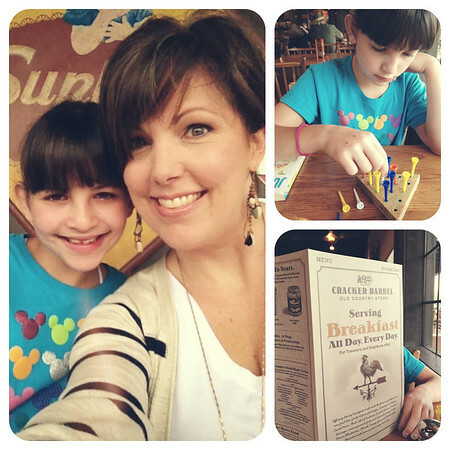 That: I tried to assuage her annoyance with a hearty breakfast down at the Cracker Barrel. This: I don't know if I told y'all that we broke up with American Idol and X Factor last year (and really, how has your life continued without that knowledge?) and felt like our TV rotation was quite full and satisfying (ha!) without any future music superstar shows. We've decided to watch The Voice. And Annelise can watch it with us sometimes too. That: I truly hope we can continue to be friends after I reveal this next morsel. I never thought I'd get attached to a show that revolves around survival after a zombie apocalypse, but apparently I am. 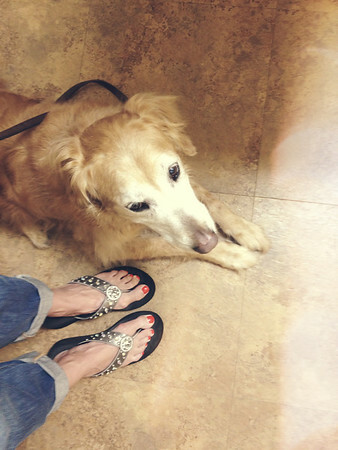 This: Going to the vet is not her fave. That: Why, oh why, is animal care so ding-dang expensive? How do you feel about zombies? We watched Episode 1 of Season 1 of The Walking Dead and were scarred by it...I'm haunted by that zombie woman with no legs pulling herself along in the park. Your Project Life supplies are such a pleasing sight! 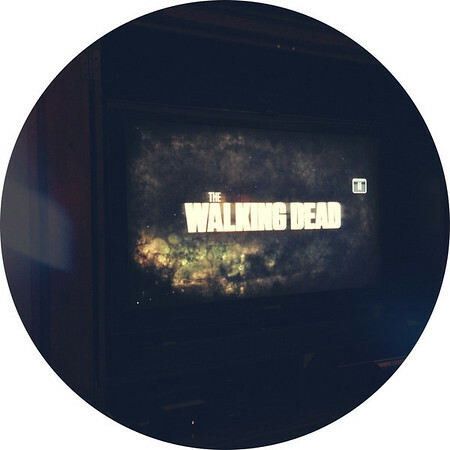 Yes, The Walking Dead is definitely creepy and I feel weird saying I still like it, but I do. :) Zombies. who knew? 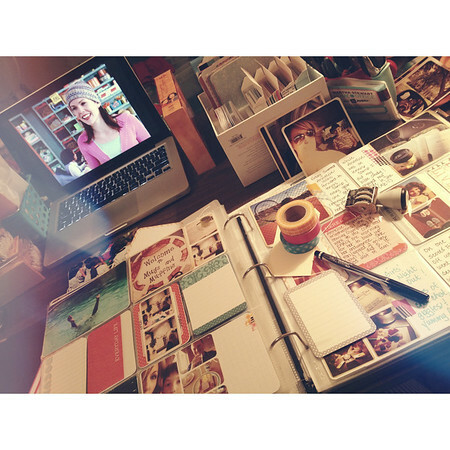 Getting back to Project Life is making me insanely happy!! 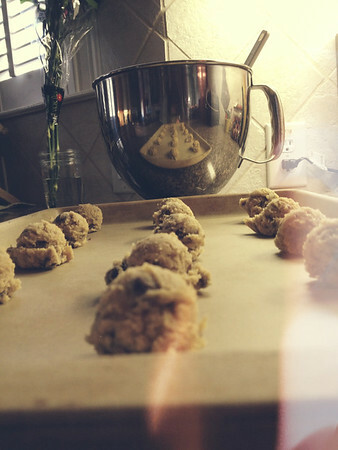 I'm for sure making those cookies tomorrow. Yum! I don't like X-Factor and American Idol either, but I do like The Voice. The blind auditions and knock-out rounds are my favorite. Ooh! I'm curious to find out what knock-out rounds are--sounds fun! Sometimes I watch the Voice, but only if my husband isn't home, because he hates singing shows. But I love Adam Levine. And Blake. And now Usher. I have not watched Walking Dead but might have to start. Thrilled that Game of Thrones has started a new season and Mad Men starts this weekend. Yeah, Scott isn't 100% on board and remains non-committal but I like something we can all watch together. It just might take us several days because so far the auditions are like 3 hours each week. I don't want to be a zombie pusher...but it's good. Violent and creepy though--but still makes you think about community and survival. 1. Digital project life works better for me. I work faster and it takes up less space. Same concept though. 2. Check out JoTotes for cute camera bags. I love mine and find myself carrying the big camera around more. It really does take the best pictures. I've peeked at the digital stuff and can certainly see the benefits--but I love all the stuff, even though it gets messy and cluttered and there's the whole storage problem.